Sewage lines are typically 4-inch PVC pipe that connect your septic system from the house to the tank, and from the tank to the distribution box. In pipe-and-stone systems, 4-inch PVC perforated pipe is also used in the Effluent Dispersal Area (EDA.) 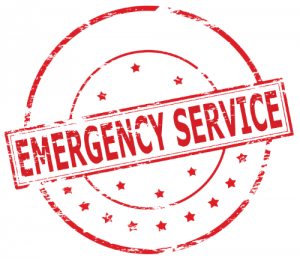 Sewer line repair can be recognized as an emergency (backing up into the house) or it may not be noticed at all – as in a cracked or crushed line – but contributing to a slow demise of your septic system. Clogged Lines. Clogged sewer or septic lines are the most common types of sewer line repairs. Rather than augering or snaking a pipe, we find that the powerful suction from our vac-truck works best on a sewage line clog; it doesn’t just remove the clog, but cleans all of the drains in the process! Crushed septic pipes. We hope that most people know that you shouldn’t drive on a septic field, but it does happen occasionally. Sometimes these pipes are not as deep as they should be. Four-inch PVC sewer pipe is not the heavy grade schedule-40 type; it is thin and crushes easily. Indication of a crushed pipe might be slow-draining water or periodic sewage backups. Broken septic pipes. Septic pipes can become separated through frost heaving, settling or tree root intrusion. Older septic systems may have clay sewer pipes that crack. The danger in broken or separated septic pipes is that the dispersal area is limited – stressing the entire system. Broken pipes can also be allowing surface water to flood the tank and overload the system. Frequent clogging could be an indication of a broken pipe; toilet paper snags as it tries to pass a separated joint. Frozen pipes. Shallow-buried sewage lines are most often found in older homes, or seasonal places. On extremely cold days, something as simple as a load of laundry can cause a freeze clog in the inlet pipe. At Maznek Septic, we have hot water jetting equipment that works really well to break up freeze clogs! We use video camera technology to quickly and accurately identify the source of the problem in the pipe, and make your sewage line repair as painless as possible!